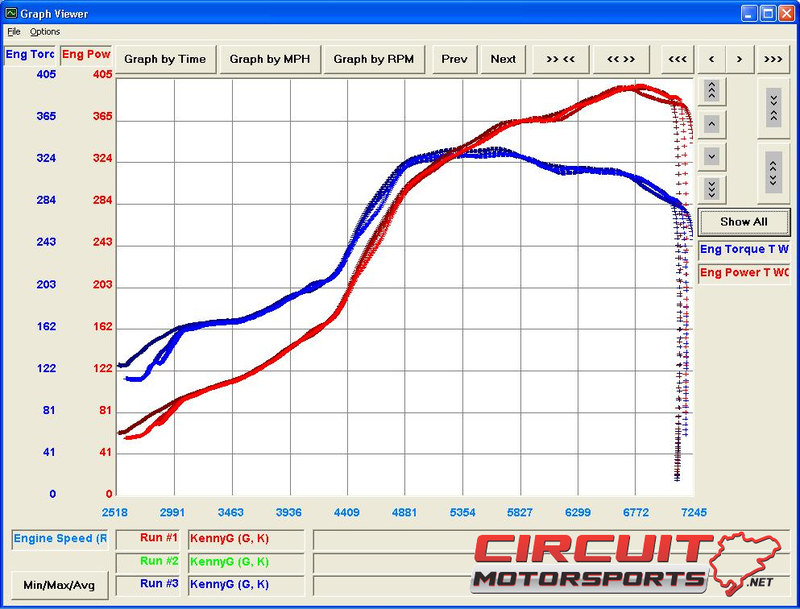 Circuit Motorsports: Flat-Out: Subaru WRX Cobb Protuner - Orlando, FL - Blouch 1.5XTR WRX Tuned! Subaru WRX Cobb Protuner - Orlando, FL - Blouch 1.5XTR WRX Tuned! 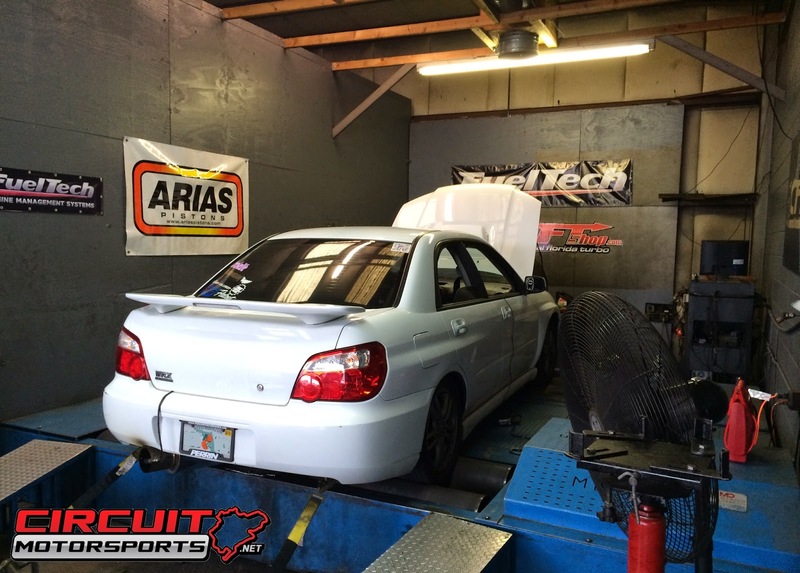 We recently tuned a 2004 Subaru WRX utilizing a Blouch 1.5XTR turbo, using Cobb Protuner software, we achieved 400 wheel horsepower on the 2.0 engine! The Subaru WRX had a fully built 2.0 engine, something you don't see much of anymore with everyone doing the 2.5 builds and swaps! The nice thing about the 2.0 engines is that they spin a little smoother over the rev range as compared to the 2.5 motors. This motor was built with Eagle roads, CP pistons, ARP headstuds, ACL bearings, and GSC cam, valves and retainers! The car had supporting fuel and exhaust mods as well as a Gruppe-S EL header and TurboXS FMIC to round it off. 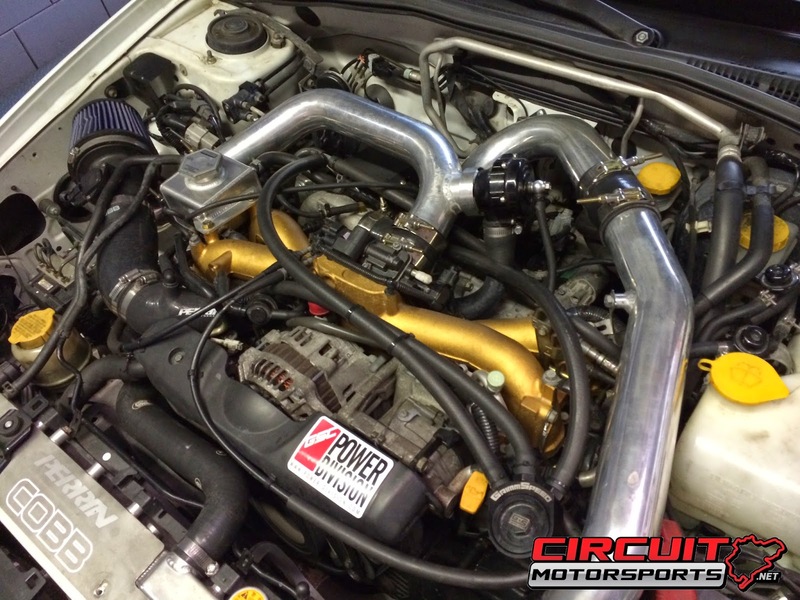 The Blouch 1.5XTR is a favorite turbo of ours here at Circuit Motorsports, we feel it is one of the ideal turbos for a street Subaru, and it didn't disappoint here. We achieved over 400whp on this setup with! 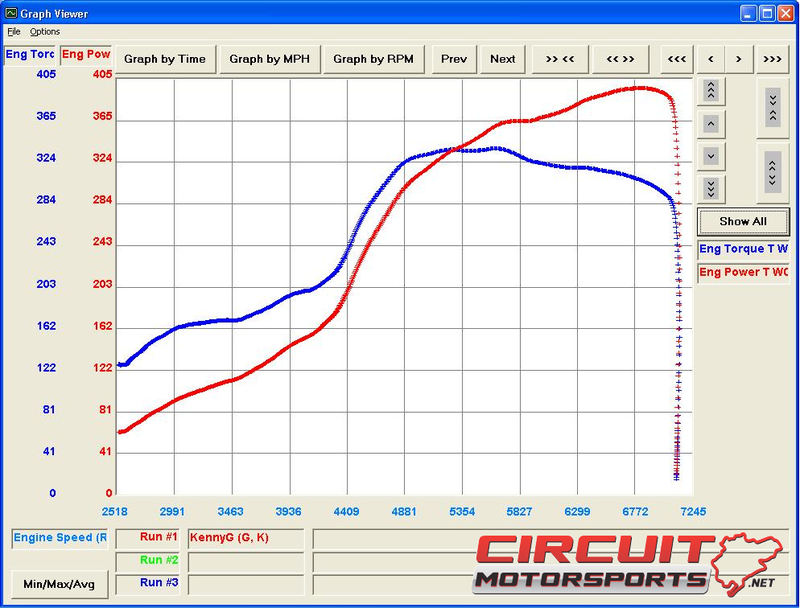 Numbers only varied by a few Horsepower as you can see in the graph below, the car and tune were very consistent, hovering just around 400whp and 335 ft/lbs! The car felt really good on the street. It pulls hard up top, all the way to 7200 RPM! The 2.0 is smooth and revs nicely, what it lacks in low end torque it makes up for in top end power. this car would be perfect for track work and highway pulls! We are now looking at doing a 2.0 project WRX of our own...stay tuned! 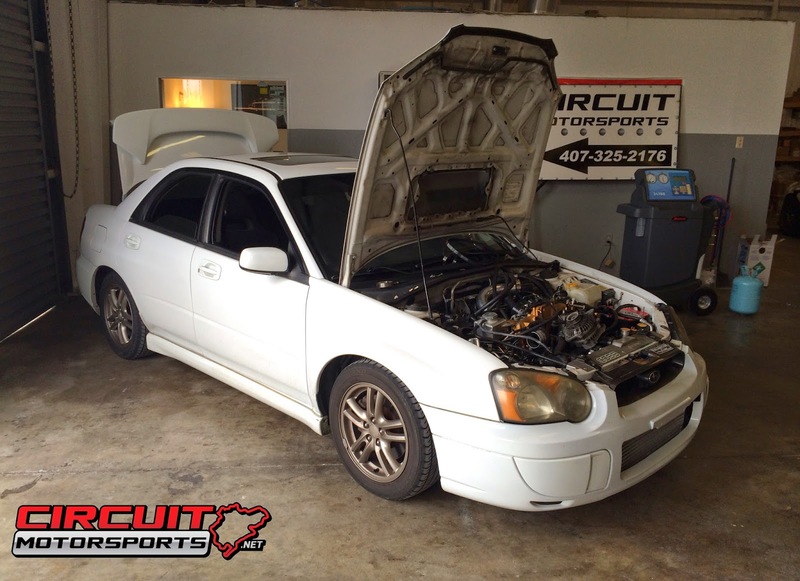 Circuit Motorsports is a Performance Auto shop located in Orlando, FL - we are Subaru Specialists and are authorized Cobb Protuners. If you have a Subaru and need tuning, a build, maintenance or any performance parts or work done, we can get it done the right way!